Windows Movie Maker is one of the most advanced multimedia editing software available nowadays. It offers an extensive variety of tools and functions to edit and manipulate your videos. You can add different movie clips and make them a single movie by inserting its title, captions, and subtitles etc. Movie Maker also allows you to create various effects in a movie to improve its result. It allows you to take an image, capture a video so that it can be used for further editing. A single screenshot can also be taken from the Movie Maker from any part of the film. 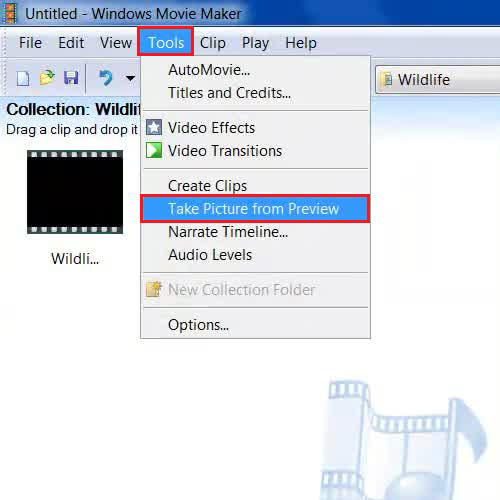 Here we will show you few methods to capture image from a video by using Windows Movie Maker. 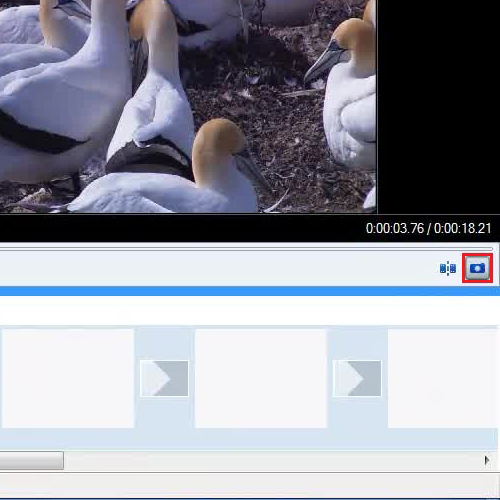 In this tutorial, we will guide you on how to capture image from video by using Windows Movie Maker. 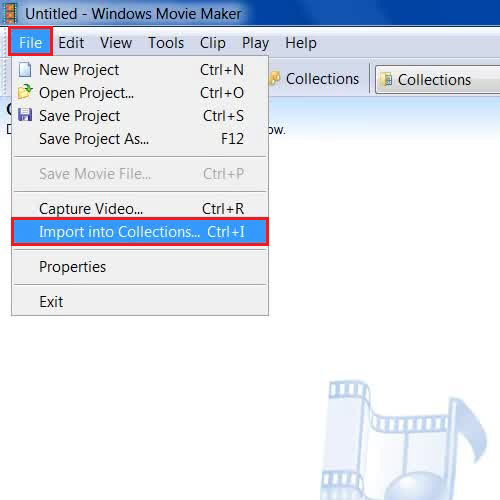 First of all, open up the Windows Movie Maker, go to the “File” menu and click on the “Import into Collections” option. Now select your video to import it into collections. Once it is loaded, double click on the movie thumbnail to start playing it. Now click on the “Pause” button to pause the streaming where you want to capture the image. Go to the “Tools” menu and select the “Take Picture from Preview” option from the list. Choose a location on your computer, enter the image name and click on the “Save” button to save the captured image. Now though this, you can save an image and capture video portions that you love in a still form. You can capture an image from a video by clicking on the small camera button at the bottom right corner of the preview window. Once it has saved, you can open the captured image file and use it further with other programs.